Bandai Namco's upcoming vampiric Dark Souls-like, Code Vein has been delayed until 2019. The delay is “to further refine its gameplay in an effort to exceed the expectations fans already have of the title.” Sounds like a solid reason to us. Stay tuned for more info. 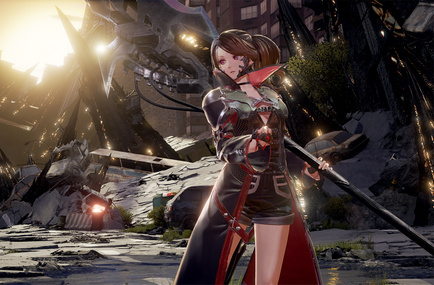 Code Vein is looking good in the new trailer from the Golden Joystick awards. There's not a huge amount we haven't already seen in other trailers, but there's a couple of new characters and enemies to take a look at. Code Vein is launching sometime in 2018.